What Comes After Kathie Lee's "Winesday"? 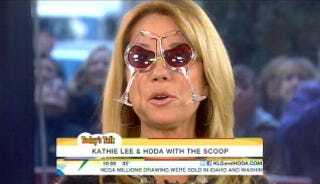 If you're a regular viewer of Today's fourth hour, then you know that KLG and Hoda love to drink. They've dubbed Tuesdays "Boozedays" and Wednesdays "Winesdays." Let's name the other workdays of the week for them.